In any kind of hydraulic application, reliable valves are a must-have. But when you are dealing with extreme pressures, you want extra peace of mind that your valves are going to deliver the control you are depending on for safe and efficient operation of your hydraulic system. For valves you can rely on to perform in even the most demanding environments, choose Oilgear high pressure valves in Fullerton CA. Oilgear gained additional expertise in the high pressure, high volume valve market by acquiring an expert in this field, The Olmsted Products Co., in 2008. So if you can’t find standard Oilgear high pressure valves in Fullerton CA to meet your specs, don’t worry–they have the resources to provide a specialty solution. Simply by choosing an Oilgear part, you should be guaranteeing yourself superior quality and performance. Accept no imitations! Be sure you are getting an authentic Oilgear part by avoiding random online dealers and only shopping at established companies with real brick and mortar locations. 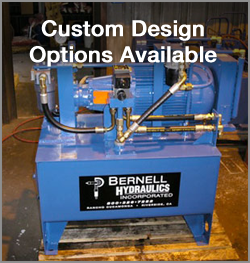 You can definitely count on Bernell Hydraulics to fill your orders quickly and correctly with authentic Oilgear high pressure valves in Fullerton CA sourced directly from the manufacturer. Our staff is very familiar with the Oilgear product line so if you have any questions we can certainly help. We strive to make your shopping experience as pleasant and convenient as possible with options for in store pickup, local delivery, or nationwide shipping. To talk to a Bernell salesperson about ordering Oilgear high pressure valves in Fullerton CA, please dial 800-326-7252.